For efficient gaming storage, ventilation and making sure that all components get the proper airflow is essential. We have seen a lot of modern designed desktop cases but one that deserves recognition is the Panzerbox. 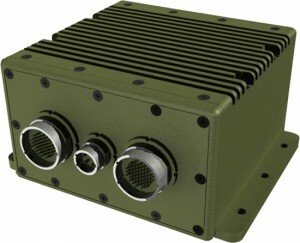 The pure aluminum Panzerbox has the capacity and power of a full-size tower, but weights only 6.3 kilos/14 pounds in a much compact mid-size tower with dimensions of 244 x 445 x 445 mm. Most LAN cases lack airflow due to inadequate space, but not the Panzerbox. Inside the all black interior, there are two oversized 190mm and one 120mm fans that churn out a combined 300 Cubic Feet per Minute air flow, along with oversized heatsinks to optimize component cooling. Motherboard tray is removable, conveniently designed for much easy installation, and storage option is available from three external 5.25 inch and four internal 3.5 inch drive bays. A top-mount external I/O panel offers connectivity from USB, Audio to e-SATA ports. The new NZXT Panzerbox Lan case is slated to ship next month for a suggested retail price of $120. Small-form factor PCs are coming out these days and the Stinger 553 desktop is a clear example of how these things look. Obviously meant to save on space from the traditional CPU ATX tower casings, the Stinger is something that anyone would want in place of them. No word on price, but mil spec anything is rarely cheap, there is an SSD and an aluminum alloy chassis to make matters even more expensive. However, for your money you are getting a tiny computer that will work under almost any conditions that can be thrust upon it without making a sound as there are no moving parts. I want one, badly, this has XP Ninja Mk II written all over it. 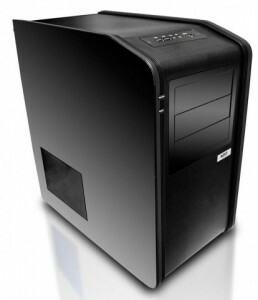 Certainly this type of small-form factor PC cases provide us a glimpse of the future. This is certainly something many would really find worthy to have soon. People could care less about how their computer would look after some time. As long as it is functioning, they could care less of how it appears on the outside. 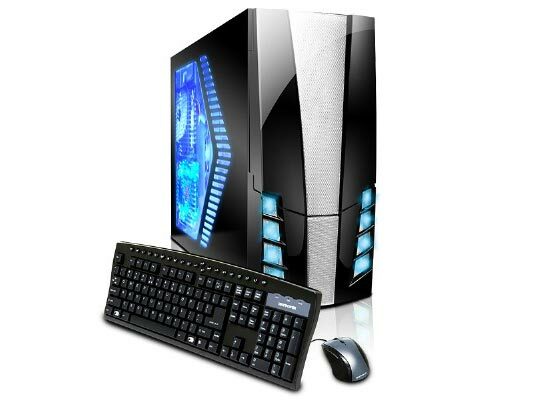 But for PCs that find themselves in offices, tidiness is something that they would want to consider since at times, it would be a bit awry to see your computer turning yellowish and gathering dust due to lack of cleaning. Surely, this is the job of the maintenance personnel or the maids. But at times, you have to consider that such a small piece of cleaning job can be done by you. There are computer cleaner solutions in the market you can use. Some use alcohol but that is not advisable. It does clean those darkened portions but after a few days, don�t be surprised to see that cleaned part turning yellow. A lot of that is because of the reaction towards the chemical ingredients inside alcohols. That is why even if people are apprehensive in buying specified computer cleaners that is one reason since alcohol is not really mean to clean computers and external coverings. Some use rugs that are moist but normally, it does not clean the portions properly. You can rub and rub on those surfaces all you want but in the end, you may find your efforts going for naught. Computer Cleaning solutions don�t cost that much. Try and buy them at times to avoid seeing your computer look like a dilapidating piece of machine. There will be cases where you may overdo it as far as wanting more peripherals installed on your motherboard as much as possible. In fact, you can fill up those slots as much as you can. But the problem starts to creep in when you feel that some parts are installed but not used. The normal thing a PC user would do is remove them but what about the slots or the holes that they would leave. Normally, cases have a patched back where slots are opened without any provisions for patching them up. This is dangerous since rats or other forms of dust and objects may make their way into your computer. In the case of rats, if they should piss or bite some wires, you can expect some PC malfunctions to occur and that is entirely something uncomfortable. As a precaution, it would be wise to perhaps tape them for now. Or better yet, if you can get hold of perfect fitted metal plates to shut them from intrusion of any sort, then the better. Some desktop manufacturers have this provision while others have the remove and then install only options. Maybe if you ask a friend or a technician who may have these metal blockers, then you can ask it from them since they usually throw them away if not used. You may call it as a form of making your PC open to potential threats. Do not wait for it to happen. Use tape for now but if you can get good metal blocker plates, the better it is for you and your PC. Computer casings have had their share of different designs and most of us could care less as long as we are able to perform all the necessary things that a computer would allow us to. But then again, there are people who want to be different and this includes the type of computer case that they have. Normally, having a one of a kind design that is not typical would be the way to go and the “Sarah” PC case is definitely one of the unique casings that any computer geek would love to have. 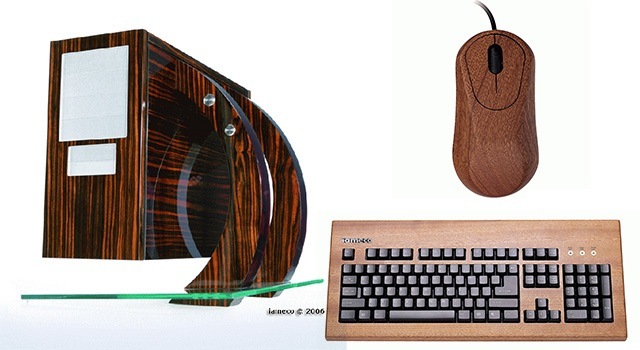 Further, the “Sarah” PC case is eco-friendly, made of Ebony trees offering that unique wooden look that we rarely see for in computer desktop designs today. Nothing comes as rare as this and for sure you may have a hard time finding it anywhere. Getting an eco-friendly PC casing seems to be a bit off-beat. Many people are focused more on the energy consumption when computers are placed into the picture but as far as projecting a new look is concerned, the Sarah PC case is something you should not really pass by. Aside from boasting rights and a different kind of computer package, you can really see the difference of getting something that is eco-friendly and contributory towards the green standards outside energy consumption that technology gadgets have been hit for. At least now, you have something else to show them as far as unique casing designs in the world today is concerned. Ebony trees in virtually all regions have become endangered through over exploitation and some are already extinct.